It’s all treats today and no tricks! 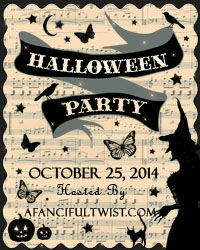 For my contribution to the Halloween Blog Party hosted by Vanessa at A Fanciful Twist, I have all kinds of goodies for you. 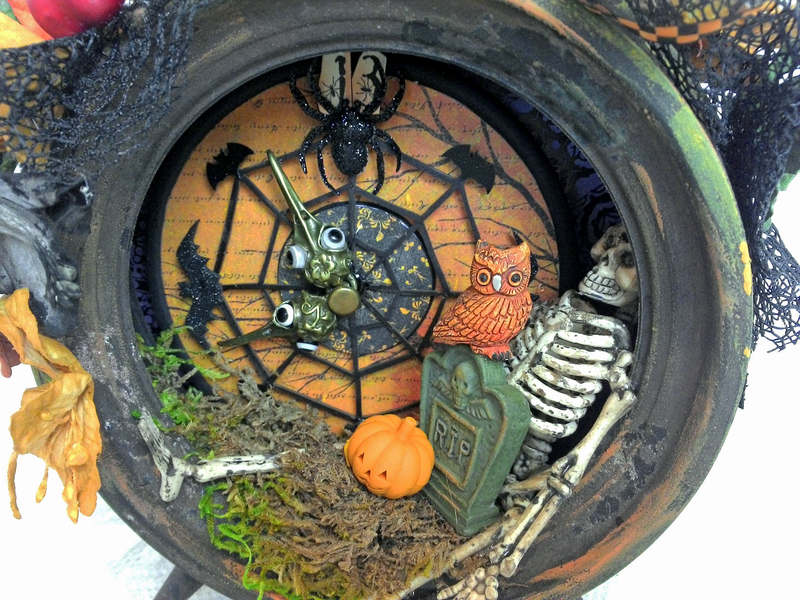 First, is a giveaway of a 13th Hour Halloween altered clock. To enter in the drawing just leave a comment on this post or email me using the Email Me button in the right hand column of the blog. On the morning of Halloween October 31st, I’ll use Random.org to select a winner. If you would like to make your own 13th Hour Halloween clock below is a list of some of the Alpha Stamps supplies I used for this project. 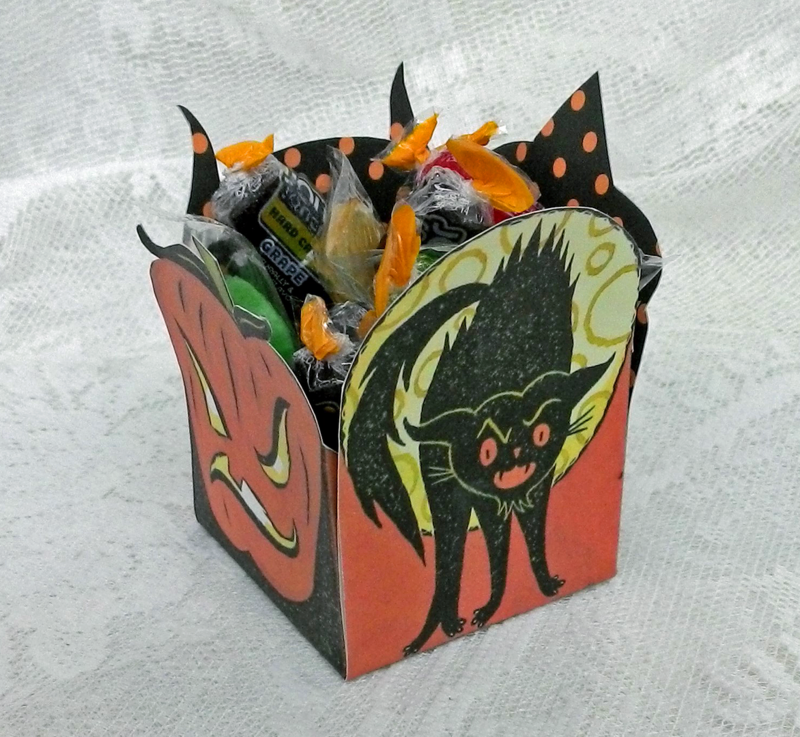 How about making your own vintage treat boxes. These can be used for a party or for special tricker treaters. They are super simple to make. Below is the template. I glued decorative paper to the back of the template before assembling. The template fits on on 8 1/2" x 11" paper (of course you can always re-size it). To download the template, click on the image to expand it, right-click and select Save As. To download an images, click on the image to expand it, right-click and select Save As. Now it’s time to jump over the A Fanciful Twist where (CLICK HERE) you find a list of the other blogs participating in the blog Party. Wicked clock and vintage goodies. I love your talent. What a fabulous give away! The clock is so cool and all the images are wonderful. Glad to add them to my collection. You are just the bees knees! Happy halloween to everyone! Such Wonderful Treats your giving out today Laura! I love the clock it is perfect with that skeleton and tombstone in it! Thanks for such goodies and the wonderful giveaway! WOW That clock is just STUNNING!!!!! Love how you have altered it. very clever! Love all the great freebies you have offered as well. Thank you so much! I always love your creations, and this is no exception. Beautiful vintage looking things! I'm always awestruck by your art, Laura...but today? I don't think you'll ever be able to top today's post :) What a pleasant surprise. Thanks so much for your generosity. Ha...I feel inadequate in just saying....Happy Halloween! I love the hands of the clock. I have never seen them before! Thanks for chance to win. Oh wow, your clock is fa-boo-lus!! Love it!! You have inspired me more than anyone in recent years. I visit your blog often. Thank you. The clock is amazing - time to dig into my stash! 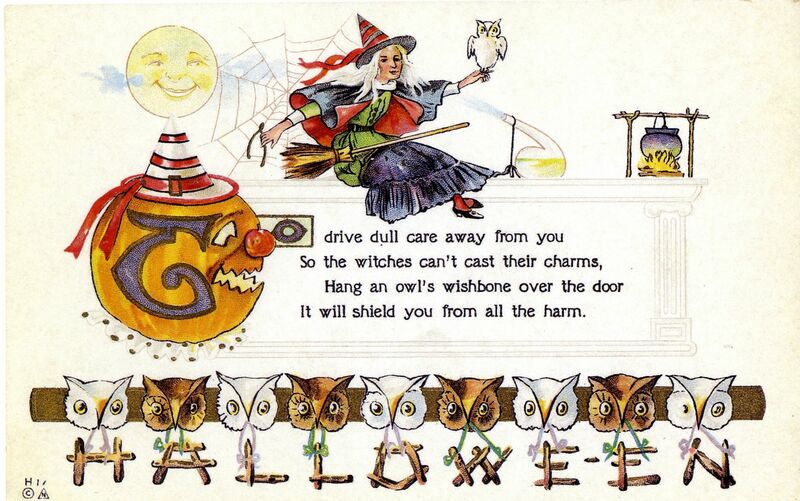 Great vintage postcards too. That clock is awesome! Thanks for having me to your party! Ha,ha,ha. Love the skeleton with it's leg hanging out of the clock. Thanks so much for the free images and the chance to win the super halloween clock. What a fabulous clock--love the hands. What a generous collection of free images. Thank you so much! 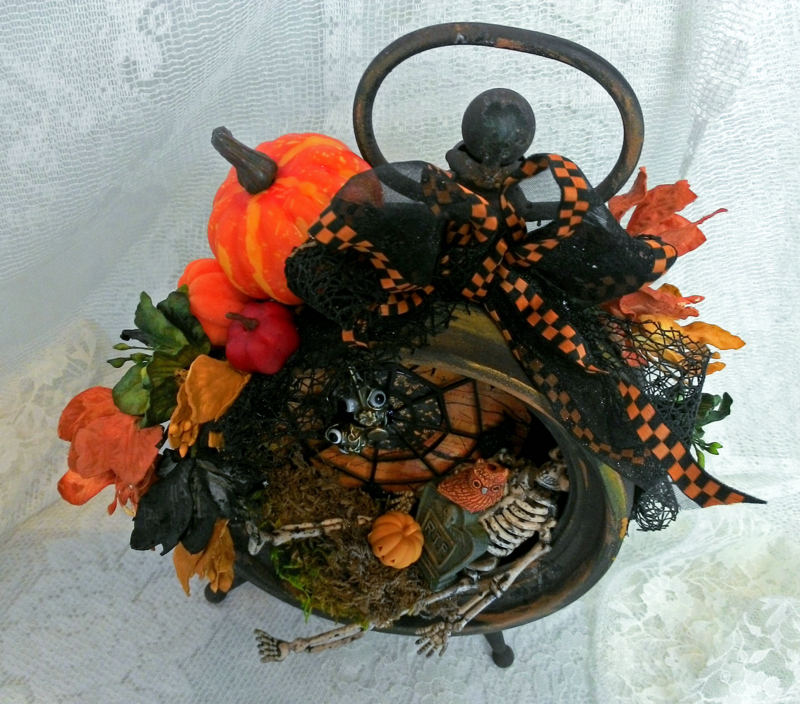 What a great giveaway-I LOVE your halloween projects. I was so glad you made all the individual projects this halloween I really enjoyed seeing what you created this year. I love reading your Blog and seeing all you do. You are my #1 inspiration. Thanks so much for sharing all your wonderful ideas! I love your clock. It is beautifully done. Oh my so many delightful things! Love, love the clock! Thanks for offering it as a give away. I love the little treat boxes (pinning) and the graphics. Visiting from the party and now a new follower. Beautiful work!!! Wow. Just wow. Thanx for the goodies and a chanceto win the clock! What beautiful images and a great template. Thank you for all the wonderful party gifts. The clock is crazy good. I especially love the eyeballs on the clock hands. Thanks for all the freebies! Laura, all of your creations are so fantastic. I've been telling all my friends and sharing your links with them, now they will get to join in the fun. Keep doing what you do best. Your clock is great. Love it. Love the vintage pictures. That clock is gorgeous! Thank you for the chance to win it and thanks for the treat box template, too. Love the vintage post cards! Boy, would I love to win this totally awesome clock!! I just love your work and appreciate your generosity. 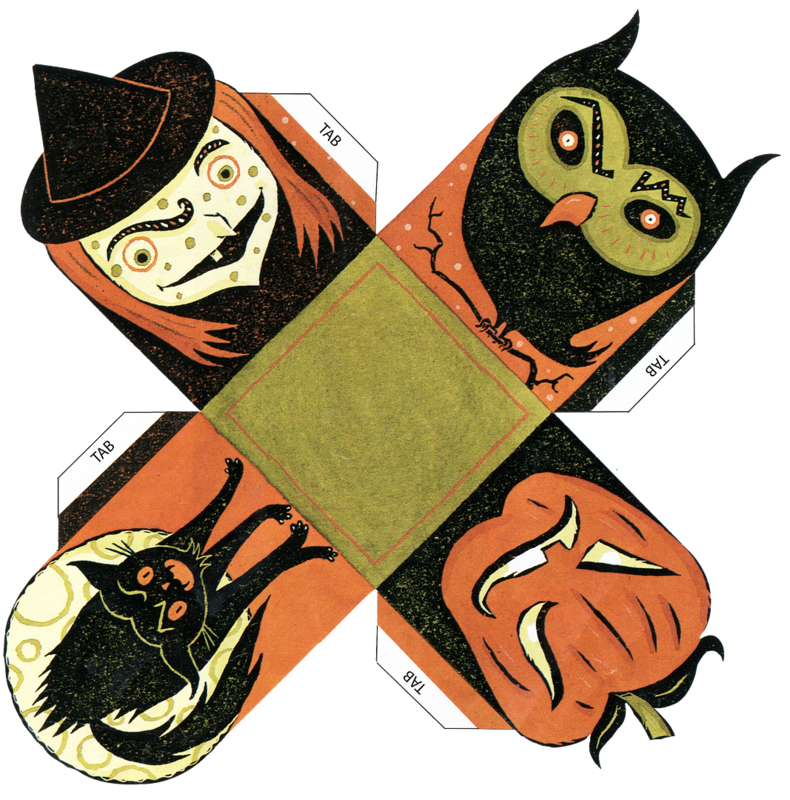 Thank you for all the tutorials and the fantastic inspiration you are constantly providing, and thank you for all these great Halloween postcards, too. You have such generous giveaways! I love your creativity! Oh you are soooo generous and amazing!! Your blog is awesome, filed with grand treasures and makings! Awesome! Thank you for the opportunity to win! Love all your projects! Thanks so much for sharing such an awesome vintage box! Love all the goodies. I am always in awe of how your mind works. Love that clock, and thanks for the treat box template. 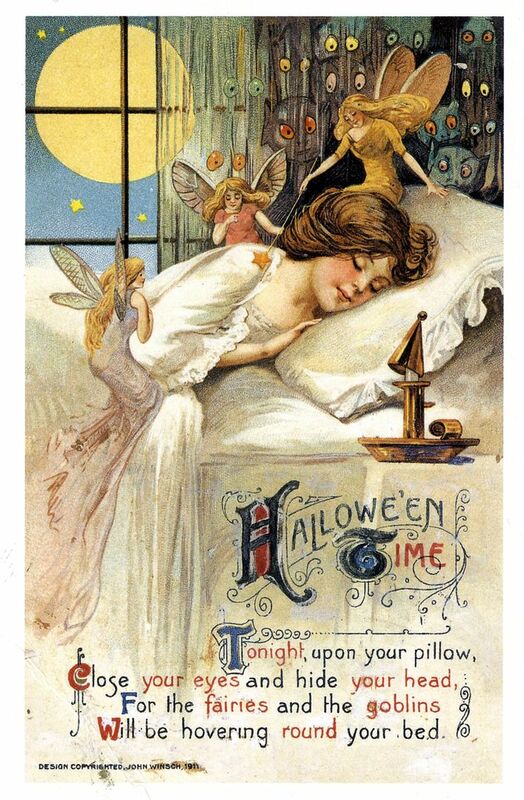 Love the Halloween Clock and the printable's. Thanks for a chance to win. I love your clock! You are always so inspiring. Delicious Clock. It is by far the very best Halloween work I have seen this year. Bravo! Too Creepy. Wow, another stunning creation Laura! I'm am never disappointed in what you create. Thanks for the chance to win this amazing clock!! Love all of the detail in your altered clock...especially the bird skull clock hands! Thank you for the printables. 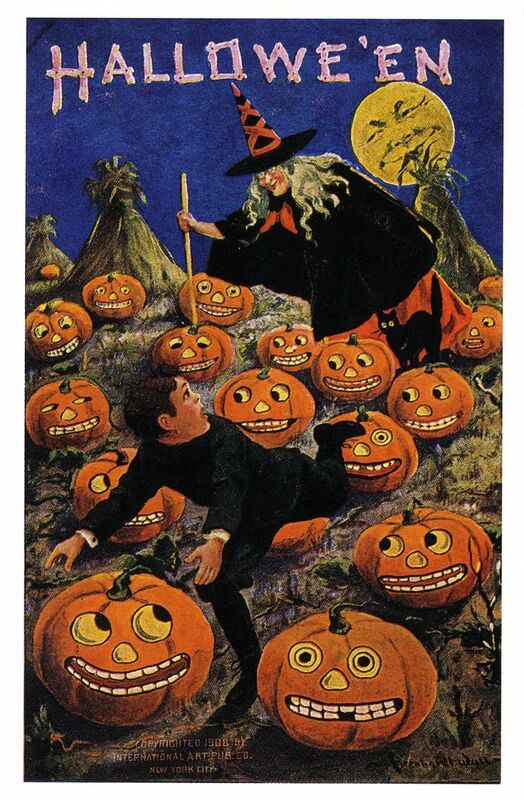 I have a few last-minute Halloween cards to make, and these will sure help me out! Your beautiful, spooky clock was created just in time for my Halloween birthday!!! I hope everyone has a SPOOKTACULAR Halloween!!! 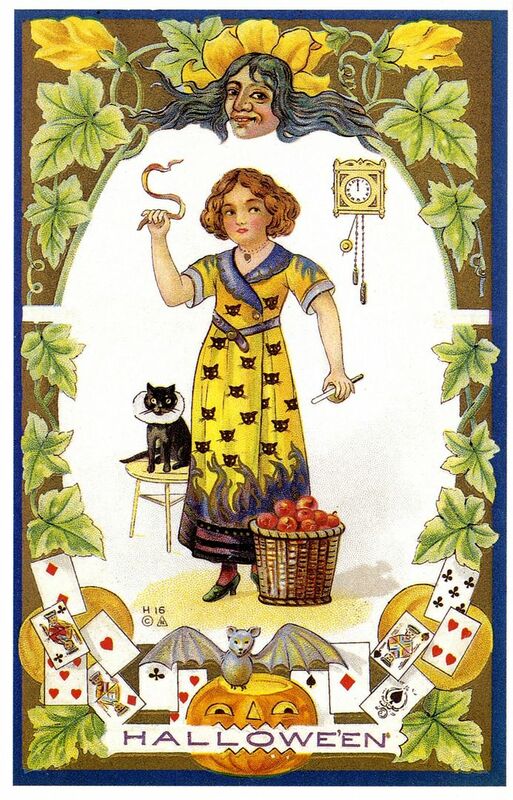 An enchanting blog and wonderful images -- thanks for sharing. You have a new follower! I'm late to the Halloween party and hope to have mine up later today or tomorrow! Laura this is gorgeous like always!! What a magical clock! LOVE the scenescape and your clock hands are GENIUS!! Would love to be able to display this stunner in my Craft Room year round! Thanks for your generosity! 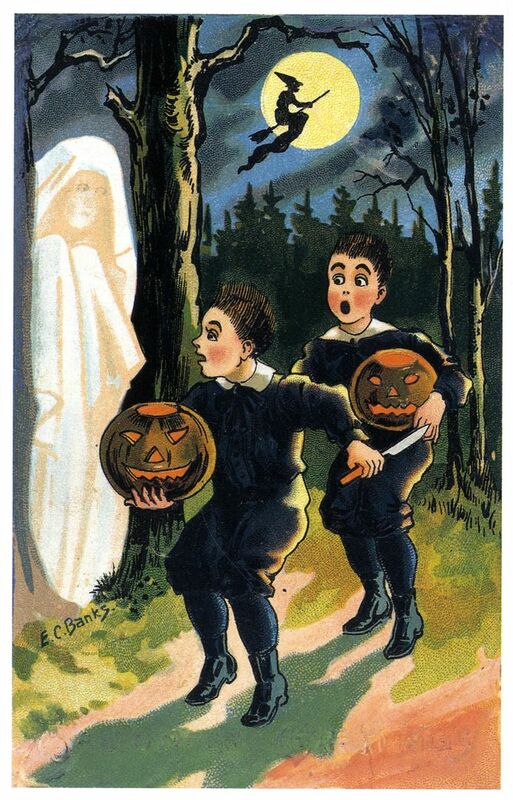 I love the vintage Halloween cards! Your work is amazing, Laura. Love your innovative projects!! Thank you for the inspiration!! 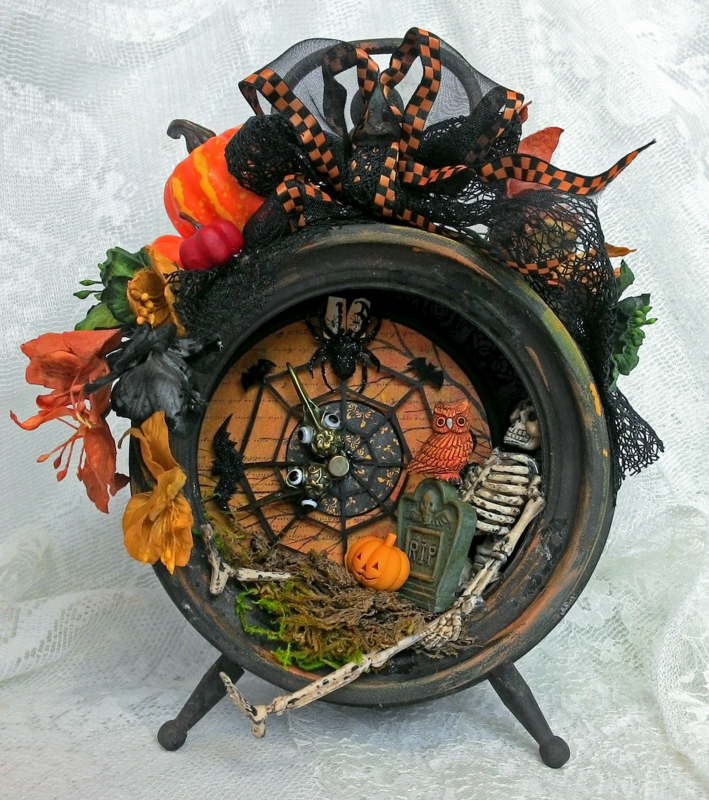 Love,love,love your amazing Halloween altered clock! Would be awesome to win it! Thanks for this generous giveaway. 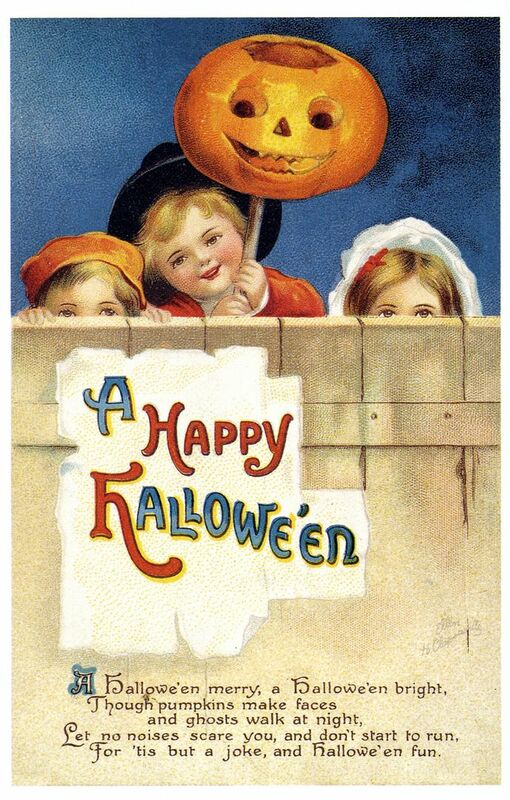 I love Halloween-there's just so much fun and merriment going around. And beautiful artwork by you. Fantastic giveaway. Absolutely love your Halloween altered clock. You are incredibly generous and talented. 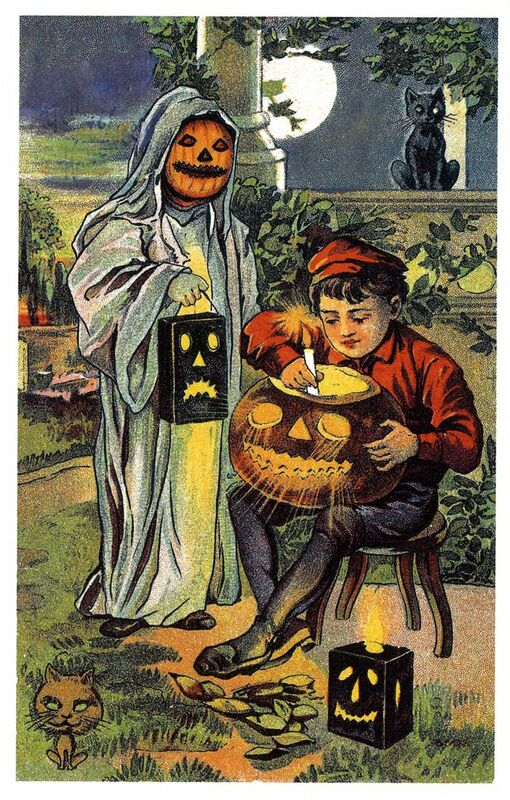 I adore the Halloween Altered clock. Halloween is my favorite holiday of the year. I have Halloween displayed year round in my studio, your work is amazing and inspiring. WOW, the 13th Hour clock is AMAZING!! I'm unable to enter the giveaway, but I just had to comment on how impressive your abilities are. The clock is like something out of a novel and the trick or treat box deserves a spot on a store shelf. Just really, really, amazing work on both. Thank you for sharing with us! Wow! Your altered clock is awesome! I love your art and how creative you are. Thanks for sharing the images, and a big thank you for giving us the chance to win it! You have done it again! The clock is so fantastic! Love it! Thanks for the graphics too! 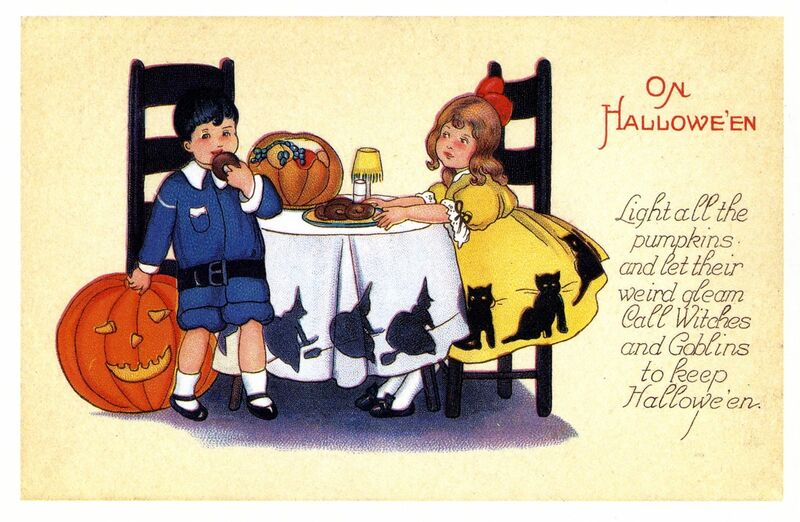 Thank you for the amazing Halloween images...you are so kind to share your treasures with us! OMG Laura, you've done it again!! The clock is absolutely fabulous! Thanks so much for the chance to win and thanks for the Halloween images too! Cool Halloween stuff! Amazing works! 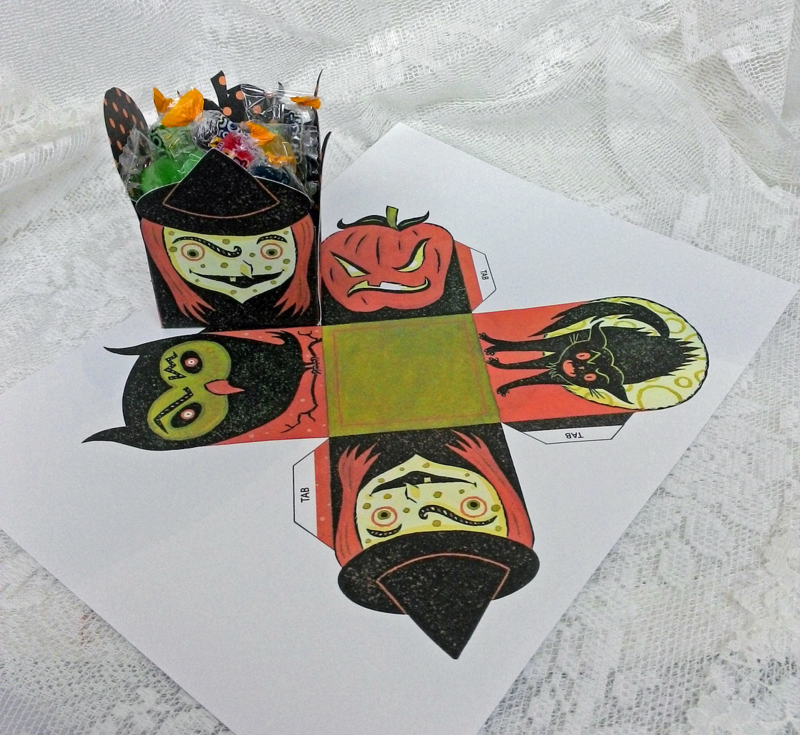 Oh Laura what a frightfully fun post and more of your uber creative halloween fun! Thanks for the chance to win! That really is a neat clock!! Thanks for the chance to win, I'd love to be entered for it. Thanks for everything in this post! Dee-lightful!! I apologize for my lateness to the party, but so glad I stopped by! 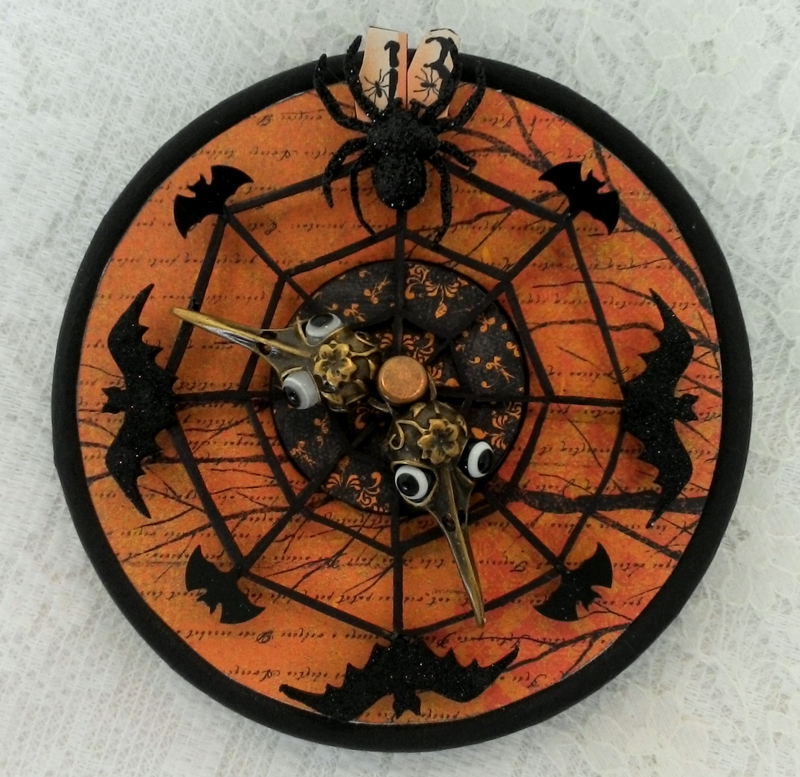 Gorgeous clock, Laura you are the queen of all things Halloween and embellishment. I strive to be as good as you one day. I have never seen a more awesome Halloween themed altered clock. Wow that is fantastic! Happy Halloween! I do love your creations! Thank you so much for the free images too. The clock is such an alluring piece of art. What more germane can you expect as a giveaway? I love the treat box as well. Your giveaways are really very inspiring and just the right for the Hallows occasion. Your artistic skills are undeniably thankworthy. Thanks for the images, plan to use them on some tussy mussies. And for the chance to win your awesome altered clock! You never seem to disappoint met hank you for all your eye candy! I love all of your props, especially the clock. Thank you for sharing. Ooooouuuu so in love with that clock! Do enter me please! 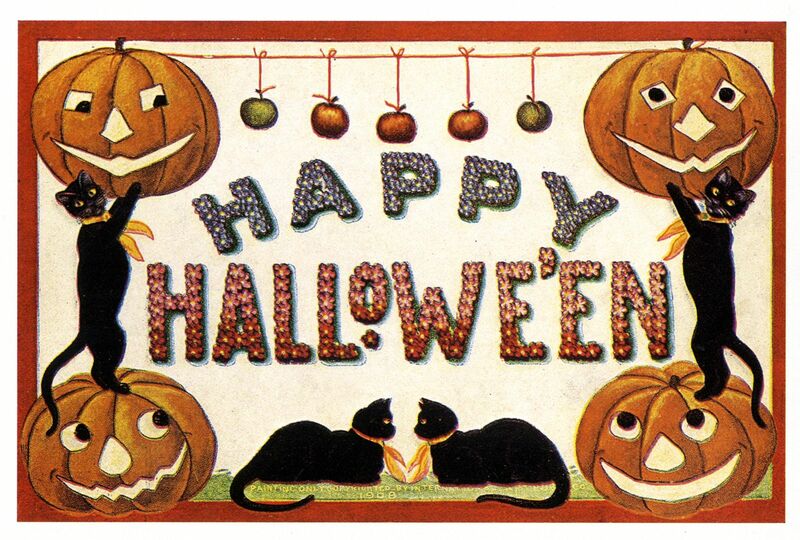 Love all the gorgeous vintagey and artistic Halloweeny creations! Happy Halloween! Thank you Vanessa for the great vintage images! 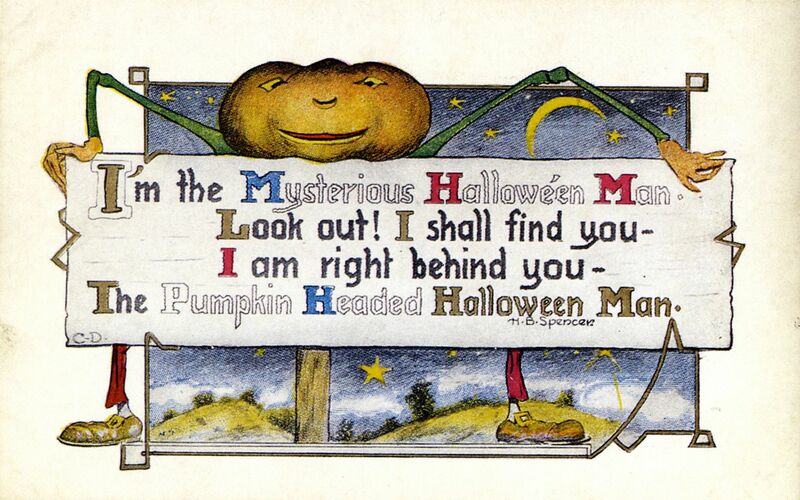 Have a happy and spooky Halloween! This is amazing! Thanks for sharing your art with us. I enjoyed looking at your beautiful work here, dear Laura! Stunning work. Love your creations! Wow! I just love your work! So sorry I arrived late. Have been enjoying al the Halloween goodies you've created. Hope you had a deliciously spooky holiday! 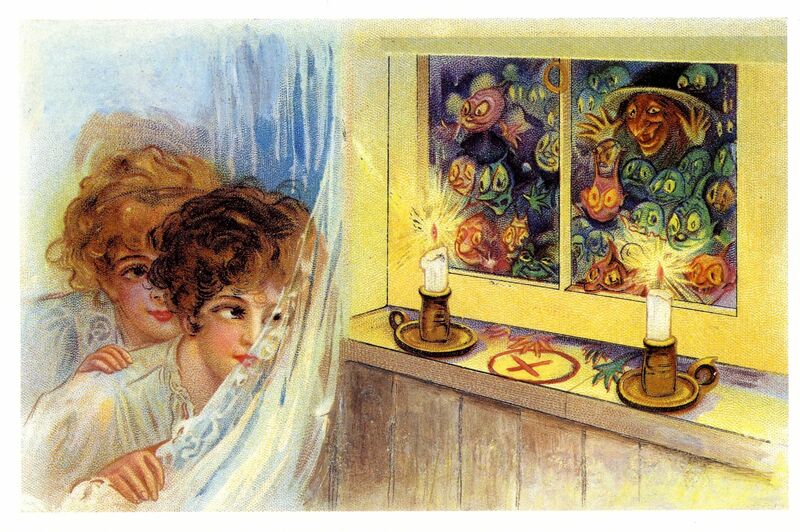 Halloween has not lost its fling on your blog!! Hi! Thanks so much for inviting me! 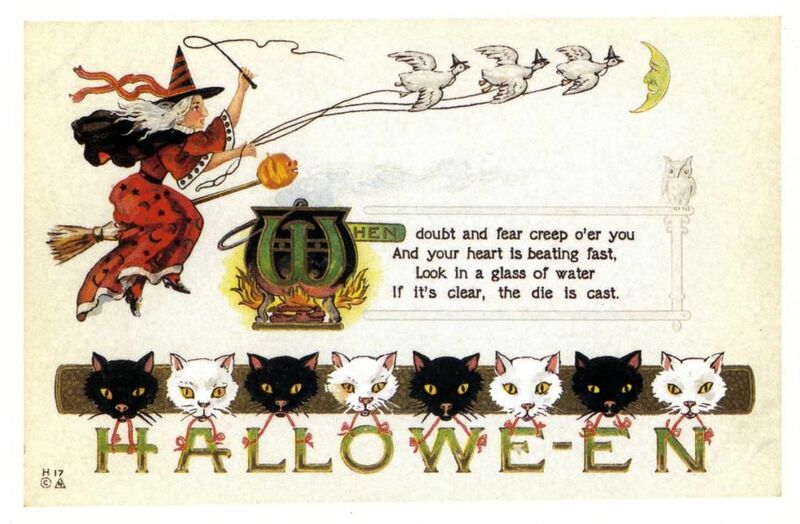 I love the Clock, and the Halloween images are so cute too!